GLUTEN-FREE, GRAIN-FREE, DAIRY-FREE, REFINED SUGAR-FREE, PALEO & SPECIFIC CARBOHYDRATE DIET (SCD). Few things in life are more comforting that a good lemon pound cake. I used to make one years ago and I was craving one recently. To me, sitting down with a slice of this with a nice cup of tea is heaven. I made this recently for my mom and she loved it. Of course like all of my recipes this is gluten, grain and refined sugar-free and suitable for the SCD. This cake is also dairy-free and Paleo. 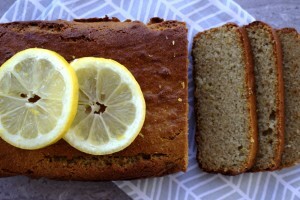 I buy lemons every week because I love to bake with them so much. I’ll buy unwaxed, organic ones if possible. Ah, lemon pound cake. 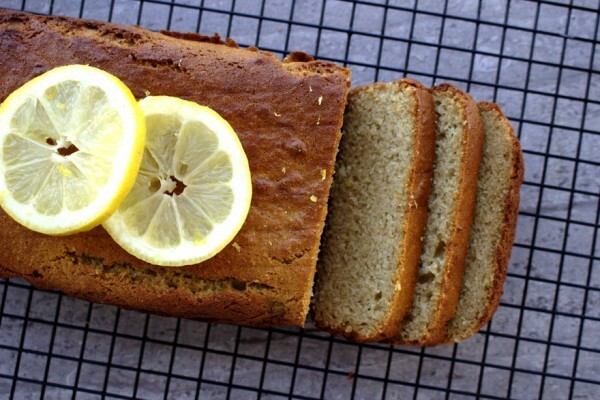 This version is light and moist as a lemon pound cake should be. It is really quick to make and freezes well so you can easily double the recipe. I usually bake an extra one for work snacks and freeze one or two slices together. It’s so handy to have ready-made snacks in the freezer. Success on the Specific Carbohydrate Diet is definitely down to being prepared. I found the diet really difficult at the beginning mostly because I used to leave myself get hungry. Then, I would have a near melt-down because I was so hungry and didn’t know what to eat. These days I’m much more savvy. I make great use of leftovers. I always make an extra batch of snacks, soups, curries or whatever we’re having for my freezer stash. I’ll also always have nut butters, sardines and dried fruit in the cupboard for when I feel my blood sugars beginning to drop. 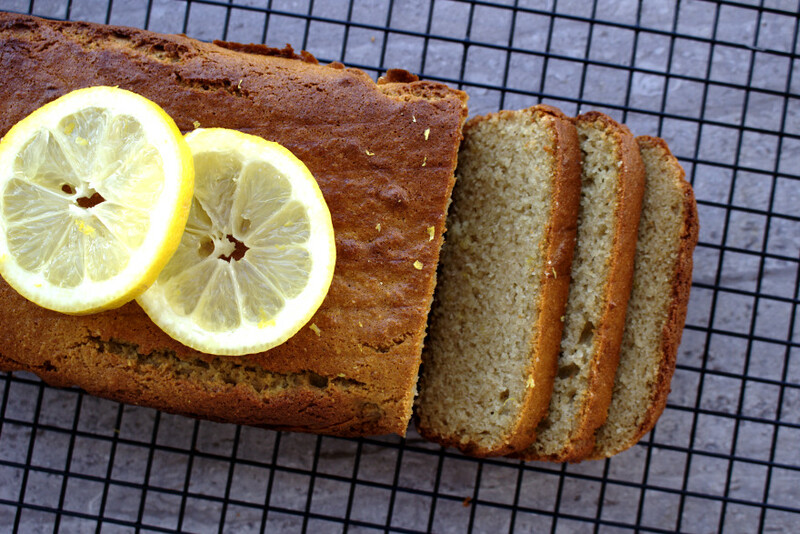 I baked this lemon pound cake in a standard loaf tin and I was delighted with how it turned out. It rose perfectly and evenly. It is so simple but has a wow effect. It’s the perfect cake to make if your friends tell you they’re calling over in an hour! 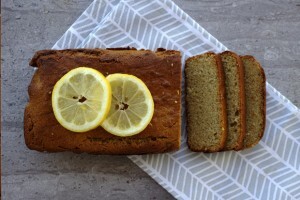 Delicious lemon pound cake free from gluten, grains, dairy and refined sugar. Also, Paleo and Specific Carbohydrate Diet-friendly. Mix all the dry ingredients in a large bowl. Add the the lemon juice, vanilla, honey and coconut oil to the eggs and combine thoroughly. Make a well in the dry ingredients. Gradually add in the wet ingredients, mixing all the while with a spatula. Grease a loaf tin well with some coconut oil and line with parchment paper. Pour in the well-mixed batter and bake for 30 minutes.